Many people instantly lean towards real wood floors when planning home renovations. It’s a natural product and instinctive choice as they have been around for so many years. However real wood floors are not without their downsides, being easily damaged, time consuming to maintain and with many limitations to where they can be installed; especially in wet, humid or high footfall areas. This is where the trend for wood effect tiles is fast emerging. They look good, feel so realistic and are super comfy underfoot. Co-ordinate with wood effect wall tiles and you can really start to build layers, feature walls and textures into your interior design. 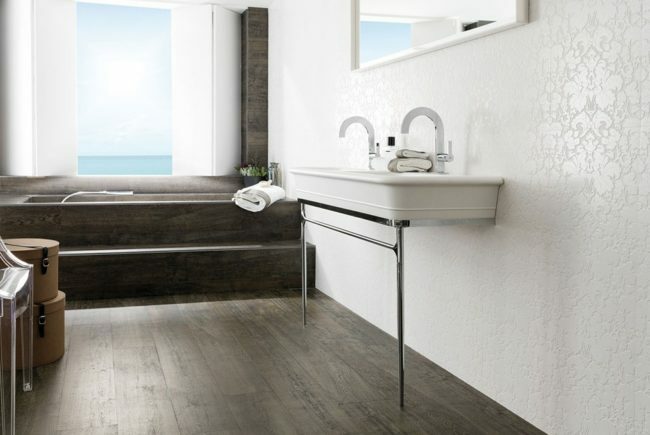 They truly work in any space including kitchens and bathrooms – you can even merge your inside and outside spaces seamlessly with the same tile finish to your living space and patio as wood effect tiles offer anti-slip technology and just need a regular clean with warm soapy water to keep them looking good against the outside elements. Produced using high quality porcelain with a treated top surface, you have the added benefit they are not going to stain easily – whether its red wine or coffee, a quick sponge down and you are good to go. They are also far more scratch resistant so ideal where children or pets may put them to the test. 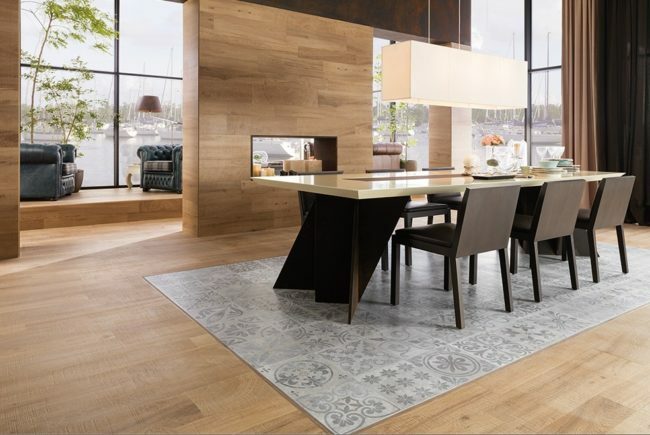 If you like underfloor heating and want the timber look, porcelain wood effect tiles again are a great way to go – many real wood boards will warp or dry out under constant heating and cooling – this doesn’t happen with wood effect floor tiles. And they will work just as well with wet heating systems or electric under tile heating mats for a more cost effective option. When you are not thinking about heating requirements during the summer months, another huge advantage of wood effect tiles is they won’t fade or lose any vibrancy when basking in natural sunlight. Finally, if you are questioning the authenticity of the finish, don’t. 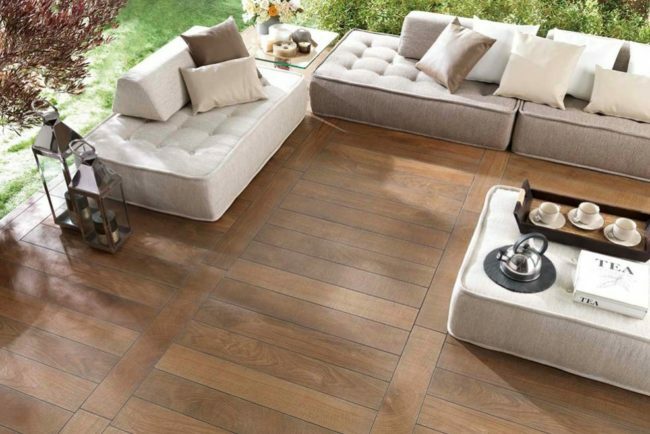 Wood effect tiles have become extremely life like. Advanced production methods – including high definition images of natural wood with every knot and grain – go into creating the finish of each tile. Depending on the finish and style you want surface grooves and texture create an even more authentic surface, or smoother styles can create a more contemporary look. You’ll discover the full range of Porcelanosa Wood Effect Tiles in our Surrey showroom collection. Come and be inspired.